8 oz. 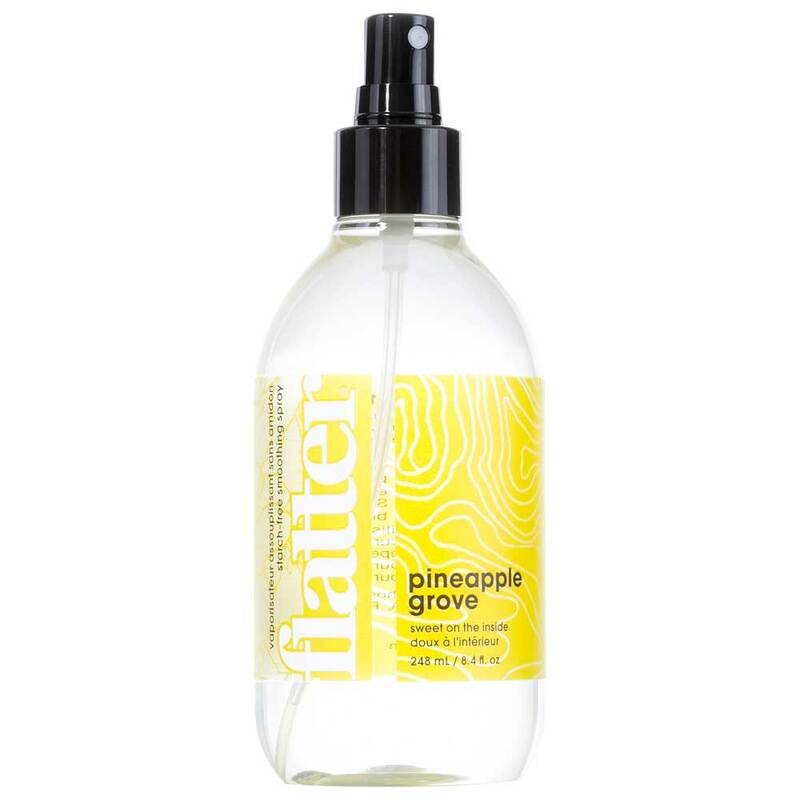 bottle of Flatter smoothing spray. This starch-free smoothing spray relaxes wrinkles and freshens fabrics leaving fabric sleek, soft and static-free. Made with Plant Derived and Renewable Ingredients, it has no sulfates, no silicones, no SLS or SLES - and definitely not wrinkles. Easy on sensitive skin and won't harm the environment.